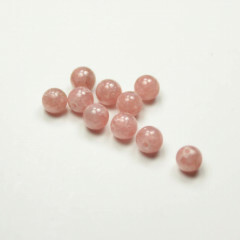 An interesting gemstone – the purest forms are a gorgeous red, but it is often found in pinks, browns, and greys due to impurities. 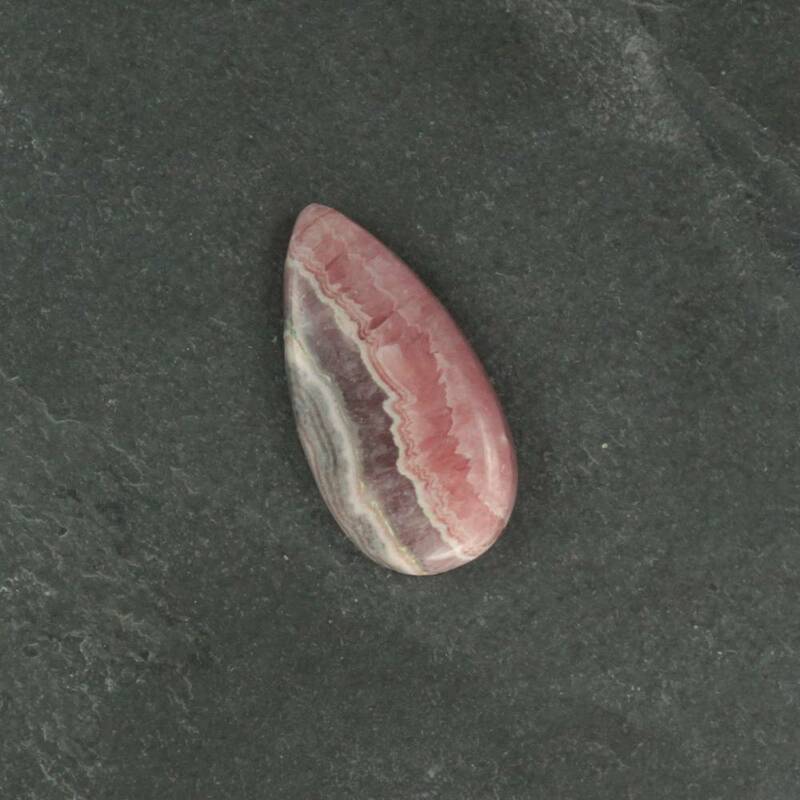 It is a beautiful stone which can range from a gorgeous pink to a reddish brown. It is a relatively soft stone, and can be quite difficult to cut into faceted stones or even cabochons – although some are available from experienced lapidarists. Typically it is sold in its rough crystalline form, or tumbled – cabochons and polished pieces are available, but may attract a price premium. Faceted stones are quite rare, due to the difficulty in cutting. The purest qualities are a rich red, caused by Manganese, however, in many cases Calcium and Magnesium impurities cause a pink colour, which is the most common shade. 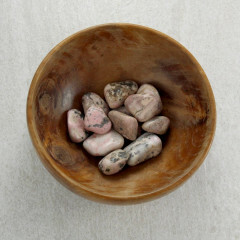 Grey and brown varieties can be found too – these are typically tumbled, as they are considered a lower grade. It is the national gemstone of Argentina, and the state gemstone of Colorado, where large crystals have been found in a silver mine – excellent grades of gem quality material have been found in both these locations. It is thought to help with heart and circulation problems, and is associated with the Heart Chakra. 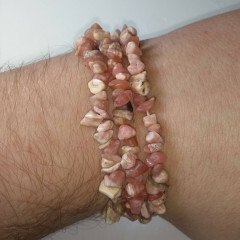 As with all pink stones, it is considered to be a promoter of unconditional love, and embody a tender, loving energy. It is also known as Inca Rosa, or Rosa Del Inca, as the Ancient Incans believed the gemstone was the blood of their ancestors turned to stone.